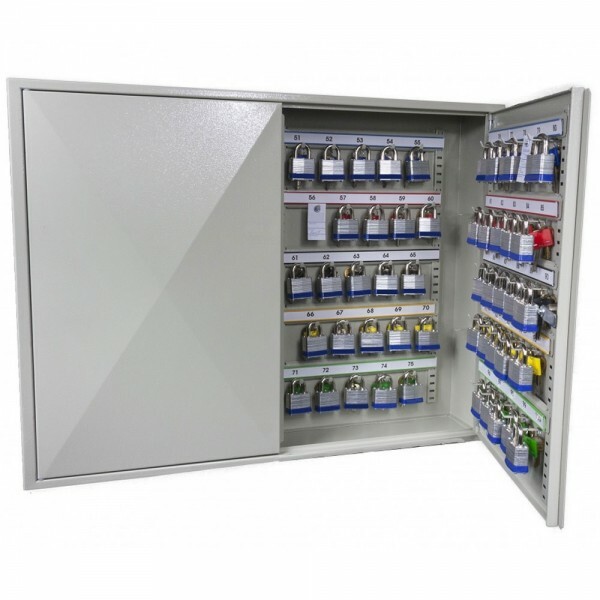 The Phoenix Keysure Deep Plus Automotive key cabinet 100 is a key cabinet with a high quality cylinder key lock and is supplied with 2 keys. This safe is suitable for storing up to 100 large keys, key bunches or padlocks. The key hooks are double spaced and longer and each row has the hooks staggered thus making it suitable for motor trade industry where larger bunches of keys are stored. It comes with adjustable hook bars, key rings, and removable key number index. 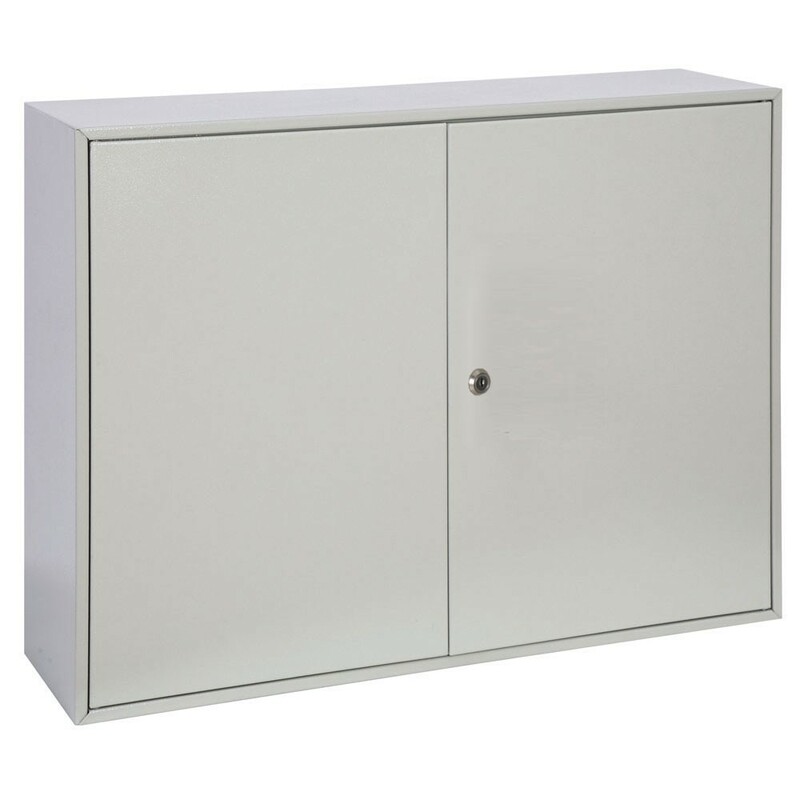 The Phoenix Keysure Deep Plus Automotive key cabinet has pre-drilled holes enabling it to be fixed onto walls and has powder coated finish to ensure its durability.